Truly, your most valuable asset is your employees. To recruit and retain the best and the brightest in today’s competitive labor market, you must follow sound human-resource practices. You may be called upon to do everything from writing job descriptions to background checks. You may not feel confident that you have sufficient time, expertise, or resources to adequately manage this process. Presented by Paychex, this webinar takes you through some of the key parts of hiring the right employees. 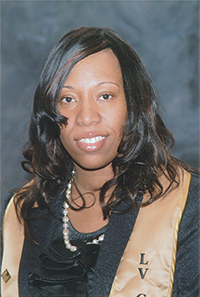 Tricia A. McLaurin has worked in the Human Resources field for 16 years. She started her career in Human Resources in Long Island, New York at Cablevisions Systems Corporation. Tricia obtained her Bachelors of Science, in Business Administration from New York Institute of Technology & her Masters of Art in Industrial Relations from New York Institute of Technology.